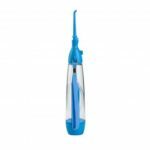 Unlike traditional dental floss, the YAS LV-800 Battery Operated Dental Water Jet creates rapid, targeted jets of water to comfortably – and thoroughly – remove harmful food particles, plaque and bacteria from between teeth and gums. 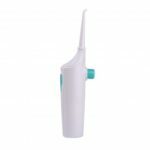 Easy-fill 190mL water reservoir lets you floss longer between fills. 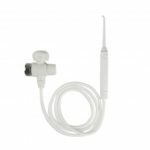 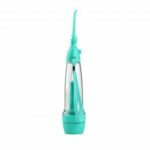 100% waterproof portable water flosser for quick, easy rinsing and cleaning under warm, running water. 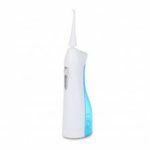 A high-speed pulse for normal, everyday cleaning, and a gentler, lower-speed pulse for children and those with sensitive gums. 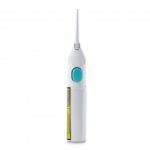 The cordless, battery-operated design means convenient dental care anywhere – from the office or gym to the airplane or home.